Profit margins are very low. Prices are under pressure. 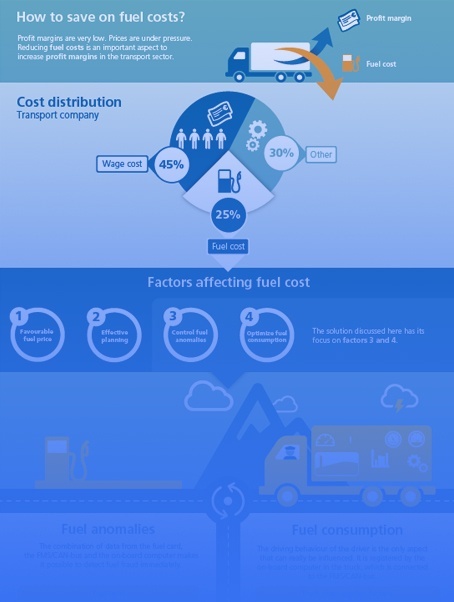 Reducing fuel costs is an important aspect to increase profit margins in the transport sector. Discover in this infographic how you can save on fuel costs. Trimble Transport & Logistics offers innovative solutions for safe, cost-efficient and sustainable transport. As an experienced partner, we help you with your logistics management and lift your transport company, large or small, to a higher level.